Are Anti-inflammatories the New Antioxidants? 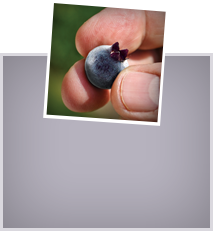 Welcome to the most comprehensive resource for blueberry research on the Web. 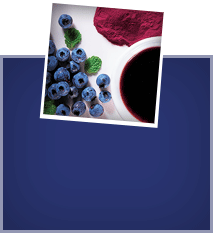 Our easy-to-use database includes hundreds of studies on blueberries and their European cousins, bilberries. Click on one of 27 different categories and choose a listing by Author or by Date. Updated regularly, the Wild Blueberry Association Research Library is your go-to source for the latest developments in this fast-growing field. Research papers included in the Library are selected by Dr. Ronald Prior, with support from the Wild Blueberry Association of North America and the U.S. Highbush Blueberry Council. Seeram, N. P.; Momin, R. A.; Nair, M. G.; Bourquin, L. D.
Nyman, N. A.; Kumpulainen, J. T.
Kahkonen, M. P.; Hopia, A. I.; Heinonen, M.
Ehlenfeldt, M. K.; Prior, R. L.
Petlevski, R.; Hadzija, M.; Slijepcevic, M.; Juretic, D.
Wang, S. Y.; Jiao, H.
Joseph, J. A.; Denisova, N. A.; Bielinski, D.; Fisher, D. R.; Shukitt-Hale, B.